Perricone MD is a company I’ve had a lot of experience with. I love their skincare line. As I get older, I’m always looking for the best anti-wrinkle creams. Dr. Perricone, the man behind Perricone MD, is a board certified clinical and research dermatologist. He is regarded as the Father of the Inflammation Theory of Aging. 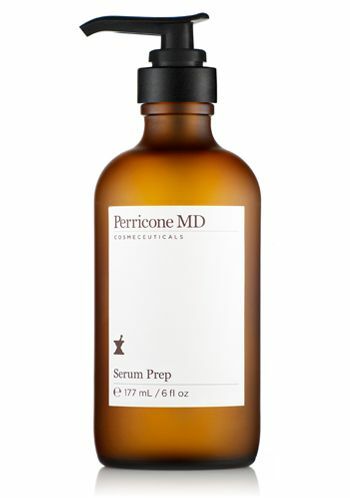 The Perricone Serum Prep ($145) firms and tones while refining texture. It’s rated 5 stars on the Perricone website. It is a unique face lifting serum containing high levels of DMAE that helps to firm and tone skin, while dramatically diminishing the appearance of deep lines and wrinkles. Also formulated with Phospholipids to hydrate and help repair more damaged skin. This serum is one of many fabulous anti-wrinkle products that Perricone sells. The Giveaway: One lucky winner will win their choice of product from Perricone, up to $150!! To enter visit Perricone and tell me what you would choose!!! Good luck everyone! Contest is open to Us and Canada! Giveaway will conclude 10/25/2010. Winner will be chosen by random.org and will have 48 hours to respond to the winning email.